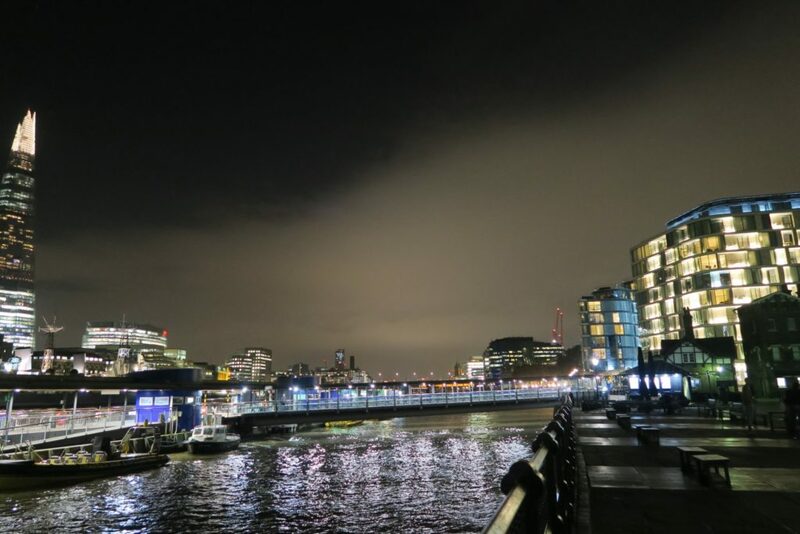 Cheval Three Quays: Luxury Apartment Living in London - Holy Smithereens! Okay, I admit that’s rather over-dramatic but hear me out. I despise cold weather, but whenever I’m in London (and I’m always there October or November), it never seems to bother me. So on my last trip to London, I decided to experience something new other than staying at a hotel. 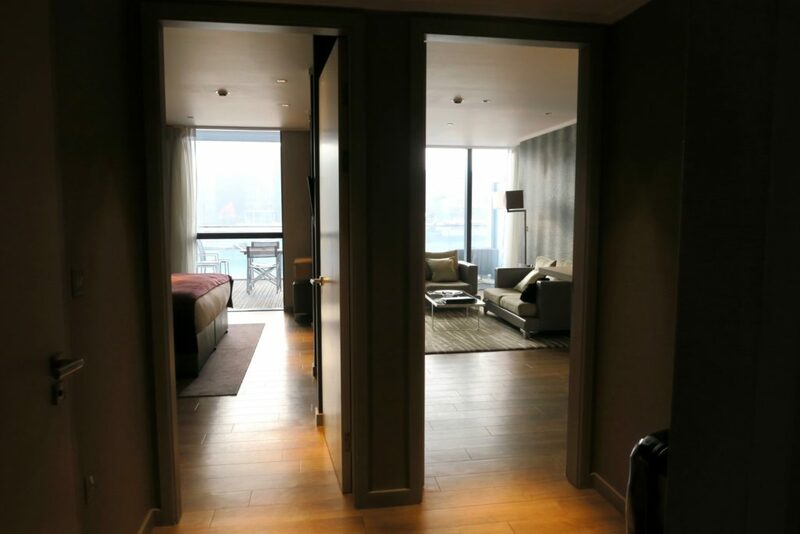 Cheval Three Quays, of Cheval Residences, is a five-star serviced apartment that faces the River Thames and The Shard, and is right next to the Tower of London. 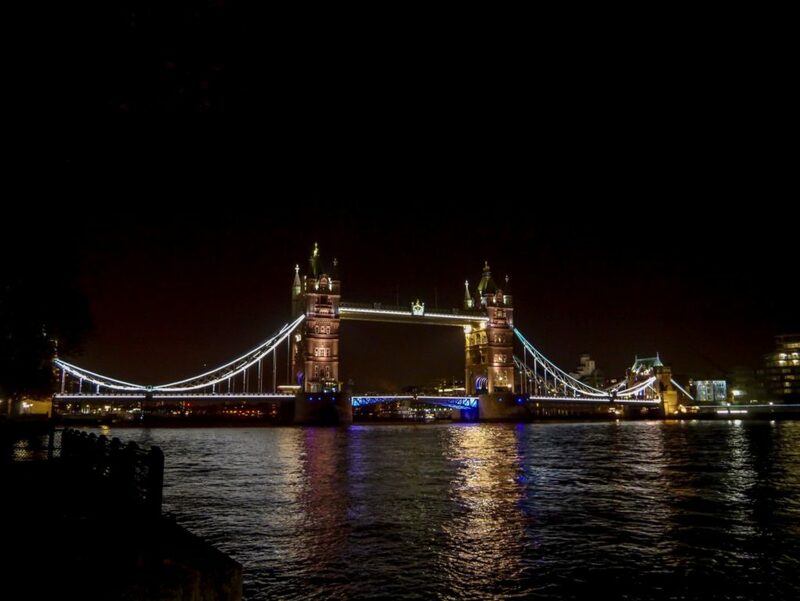 The Tower Bridge is also nearby and when you view it from one of the apartments, it feels like it is just within reach. As this was an apartment stay, arrival / check-in was relatively quiet and quick. 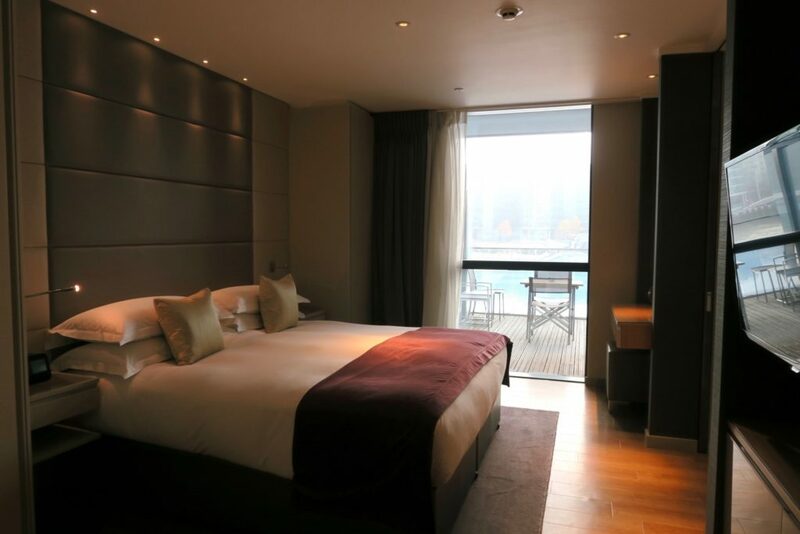 Our one-bedroom apartment is on the second floor with a view of the Thames. This is what greets you when you open the doors. Living area / kitchen to the right, and the bedroom and bathroom to the left. There’s another adjoining area right across the bed that leads you straight to the living area. The kitchen is well equipped with modern cooking facilities. 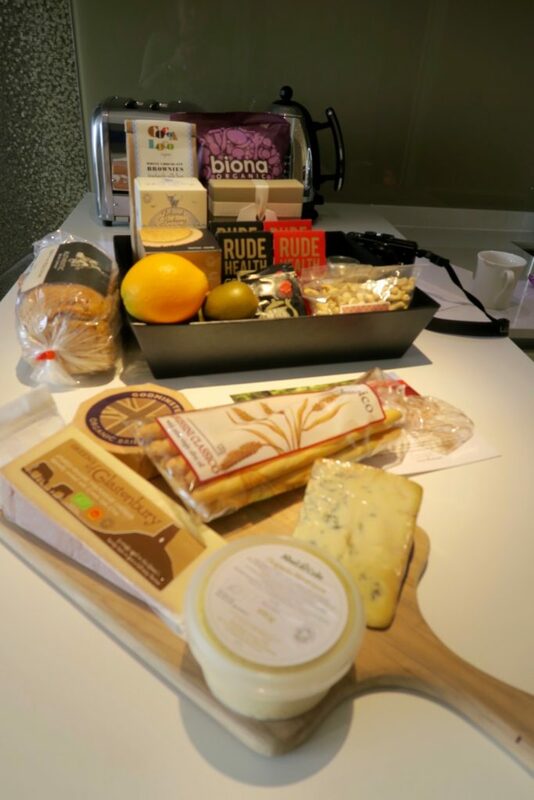 But what I loved is that the fridge is stocked, and they also have quite the luxury welcome hamper which will ensure you won’t ever be hungry in the apartment. 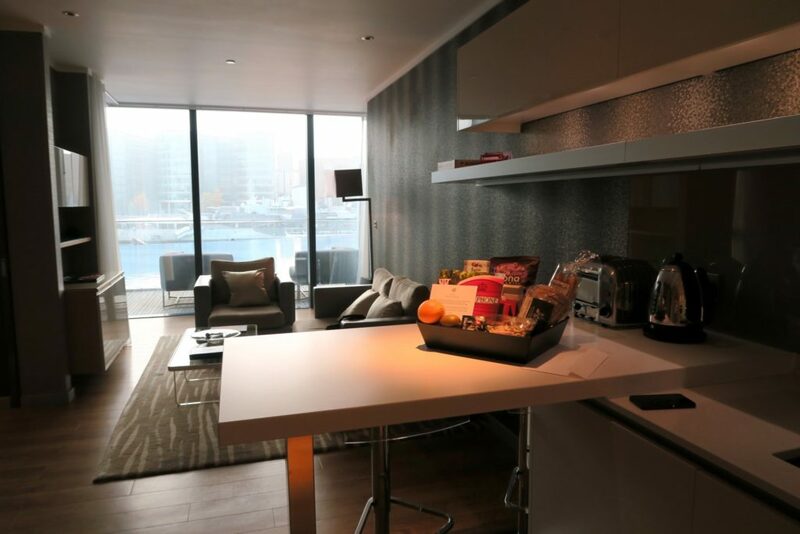 You will never be hungry staying at Cheval Three Quays! This is really way more than just your average ‘light refreshments’ or welcome amenities. Among many others, it has two boxes of muesli, nuts, fruit, cheese, jam, loaf of bread, bread sticks, olive dip, organic chips, biscuits and many more. It was indeed quite a generous hamper and we didn’t even finish everything for our two night stay. 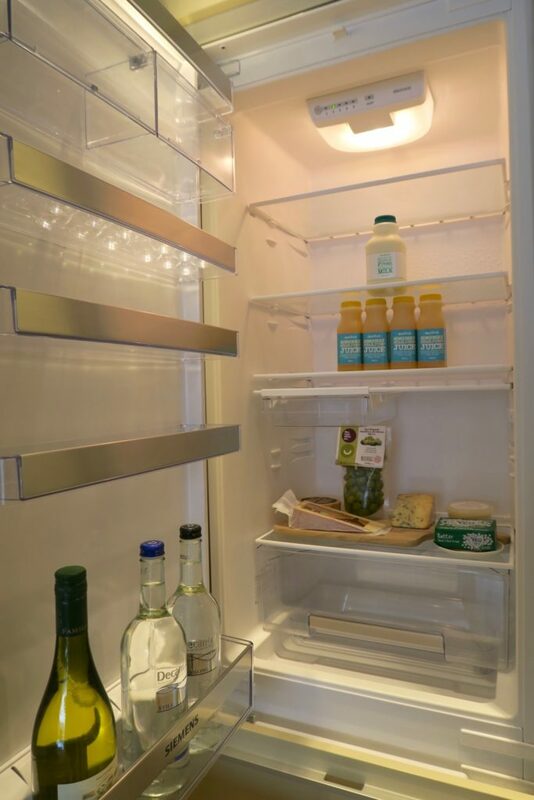 The fridge also is quite well-stocked with juice, cheese tray, sparkling and still water, and wine. As Cheval Three Quays is quite centrally located, it is not a problem to dine out at all. 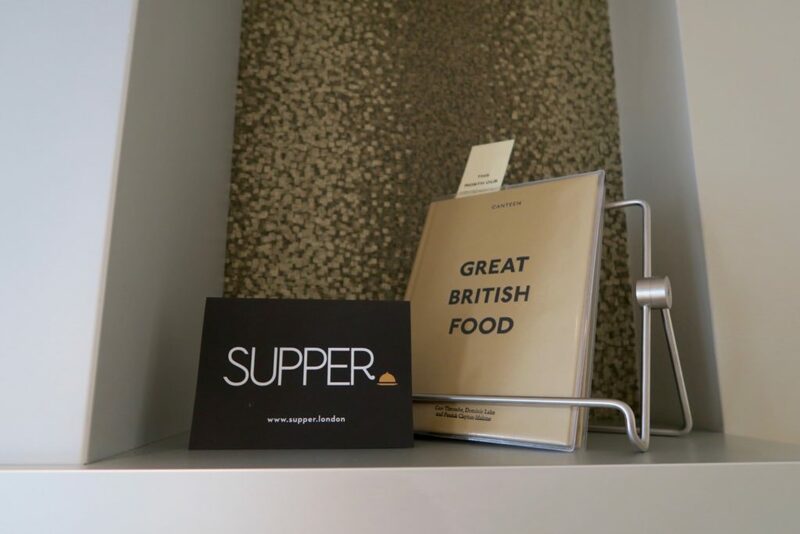 However, for those who are in London for a longer stay or simply want to eat in the apartment, there’s also a handy cook book and a mini-directory of nearby restaurants that can deliver. It would have been lovely to use the kitchen to cook up our own meals, however we didn’t have the time. 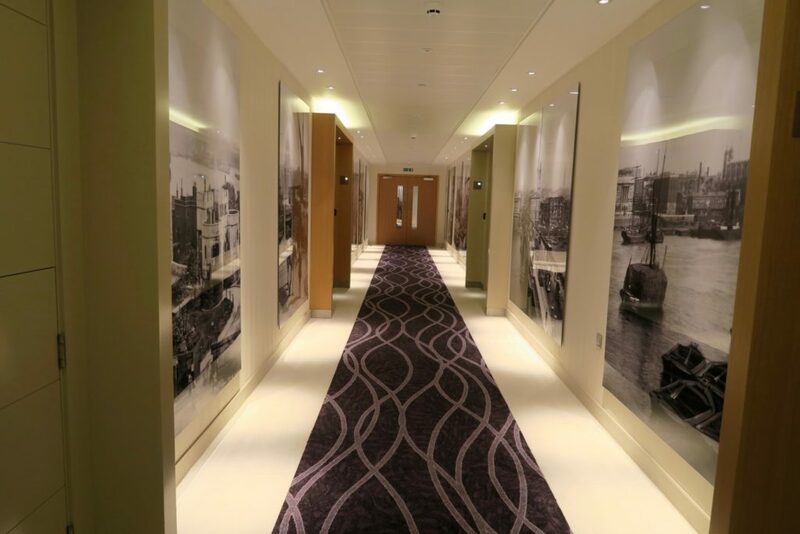 Here’s a mini-tour of the room and surrounds of Cheval Three Quays, where you will also see the bathroom. Here’s another angle of the living area and kitchen. It’s very airy as there’s a lot of natural light coming from the river view. 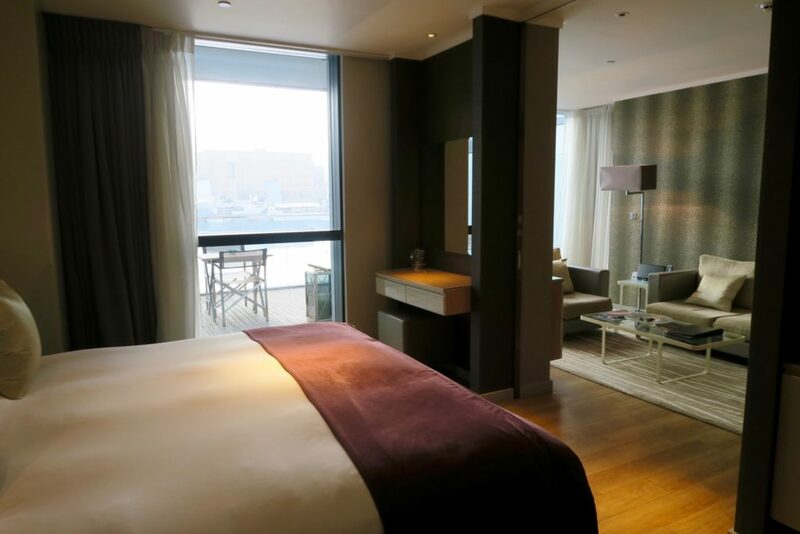 The bedroom also shares the river views with the living room. As we were on the second floor, we didn’t really have a direct view of the river, but rather of the pool-looking water feature that flows down to the fountain feature of the first level. What I noticed throughout our stay was how quiet it was in the apartment. The entire building actually. The doors, windows, and walls all are very thick and sound-proof. This one bedroom apartment measures 611 square feet. 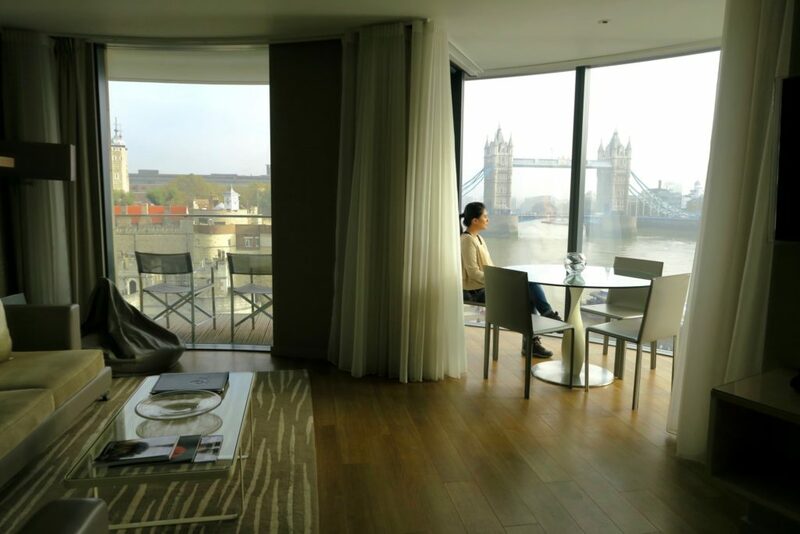 I was able to visit Cheval Three Quay’s Deluxe Two-Bedroom Apartment and this is the room type you’d want to get for the creme de la creme views of London. Mon Dieu, The view! Imagine waking up to that view, eating with that view, and just chilling in the apartment with that view. The Tower of London is literally a stone’s throw away and the Tower Bridge feels like it’s just within reach. Concierge / Reception for 24 hours, daily maid service including weekends, towels and bedlinen change, free wi-fi and onsite gym. This is my first foray into a luxury apartment stay, and though I love hotels immensely, I can say that I’d want a repeat of this experience, if all apartment stays were as convenient and lovely as this. I really am impressed with the privacy of these apartments. We rarely ran into other guests, and the entrance of the apartment is quite subtle too. 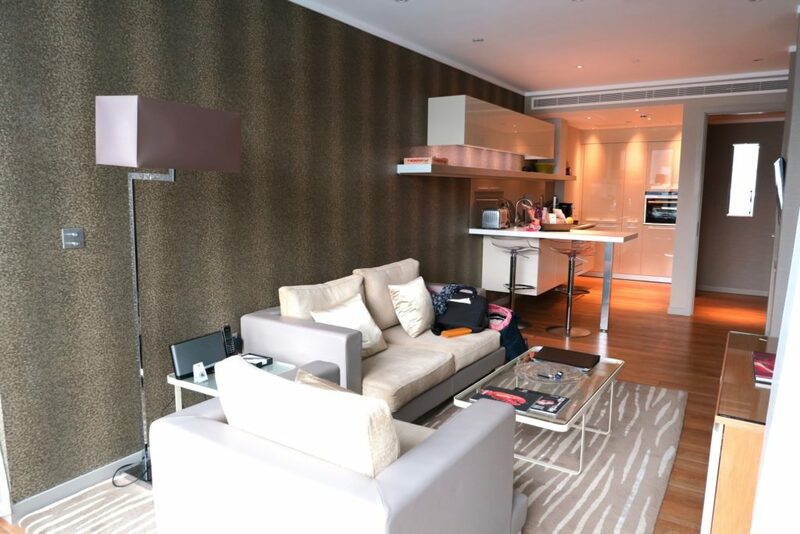 No two stays in London are the same, and this visit was definitely made extra memorable by this apartment stay. And yes, it heightened my desire to live in London even more! 😉 I have friends and know people who have lived in London (and live there) and I somehow get a universal reaction from them: The grass is greener on the other side, and living in London is so very different from just visiting it for a week. I get what they mean. I truly do, but I still would like to experience it for myself one day and don’t mind at all if I return saying “You were all right!” or maybe I’d end up staying because I will love it entirely. Are you already living in That place you’ve always wanted to live in? Where in the world is your equivalent to ‘my London’? I’d love to know! theatrical odes to London are mine. I think if I could live in London in place like that, I’d be home in a heartbeat! We always stay with friends and family when we go back to London and although they give us the rock star treatment, these apartments take five star to a new level. And check out that view! I feel quite homesick! I havent been back to London, it took a lot of years to forgive the city. I worked as a chef at the Covert Garden Hotel, 80-90hr weeks, got pneumonia and ended up on a plane home to get better. Disaster. Sigh! But when I read posts like this, I do wonder if I would enjoy it now. Absolutely NOT living in the place I have always wanted to be, not sure I have found it yet, but I have always felt a connection with Boston. Wow Anna, sounds like those were grueling times! How long were you there for? And yes, I think it’s exactly that, what my friends / people tell me when they find out I want to move there. It’s a very different thing when you’re a tourist / visitor. Ok so to counteract all the Londoners who’ve told you the grass is greener, I’m a totally besotted, devoted and longstanding Londoner who is here to tell you the grass is greenest here!! 🙂 I’m ridiculously biased of course because it’s home but I honestly think that despite its flaws (and there are many), it really is one of the greatest cities in the world – do come join us!! This apartment must have been a lovely way to experience it and the description of all the goodies in the hamper has left me feeling so hungry! That’s awesome to hear Shikha! And very quite refreshing too 🙂 Thanks for that insight. I love that you love your home and the city you live in, not many people can say that! One day I’ll join you…all my fingers are crossed!! Oh absolutely! I’ve definitely felt colder in Sydney / Canberra. Especially as you can’t really gear yourself up like “winter-Europe” outfit here. And this is why people from overseas laugh at our winters. It’s not the winters itself but the lack of heated facilities / public areas. I am planning to stay here when i visit London next year. It’s a great base to stay in London, I think you’ll love it. I’d like to stay there for a longer period to really experience ‘living in’ as much as possible. Wow, well explained London. It shows that this is really your place where you love to be. After seeing this I have decided that for next vacation I am also going to be there. Keep Posting such things.